A quick fix for the problem at hand would be to use denture adhesives. These are products which serve as bonding agents that keeps your dentures in place by allowing it to stick to your gums and/or your palate. Although they can be extremely fast and efficient when it comes to addressing unstable dentures, they can only present a short-term remedy. Over time, the shape of your gums and bones that support your dentures can change. This is one of the main reasons why your dentures get loose and unstable as time passes. This simply means that they no longer fit properly and they should undergo denture relining. This process is a method of making adjustments to the base of the dentures so that it could adapt to the current form and shape of your gums. When it comes to stabilising your dentures into their proper place, having implants to support them is the most advanced means available today. Dental implants which are inserted into your jawbone will serve as the strong and stable foundation of your dentures. Implant dentures are highly durable and effective. 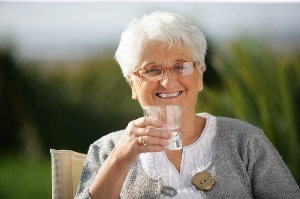 As of today, it is regarded as a long-term solution to loose dentures. You should not let your loose dentures keep you from enjoying a healthy, beautiful, and fully-functional smile. To learn more about how you can deal with unstable dentures, consult your denture experts here at West End Denture Clinic. Your trusted dental prosthetist in West End is equipped with the most advanced tools and techniques used in creating quality dentures. 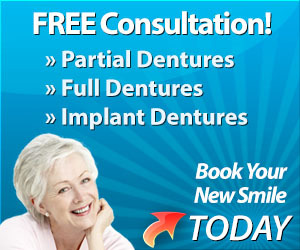 Call us today on (07) 3844 0944 or simply book your appointment online to claim a FREE denture consultation.